From a Brooklyn pizzeria’s West Coast outpost to a wine boutique’s beachy new digs, there are a lot of new restaurants to check out this month. 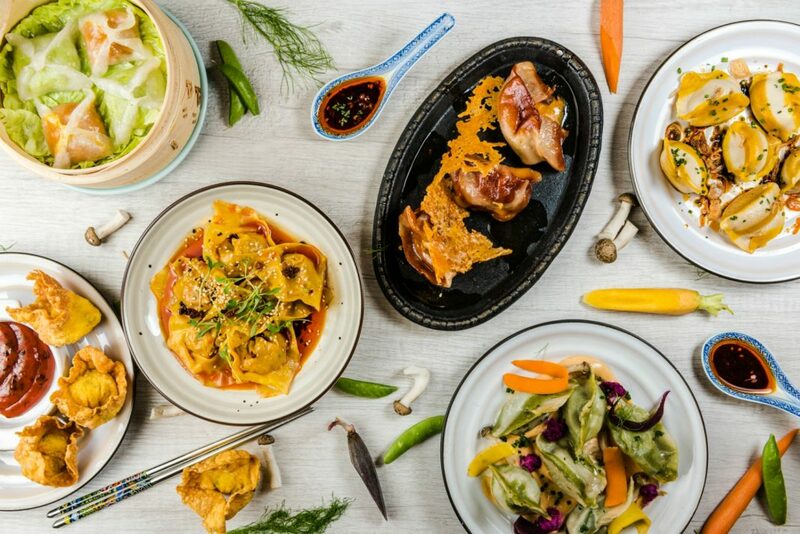 Here are our picks for December’s buzziest new restaurants. The platform complex gained a dose of Brooklyn cool by adding a branch of this venerated pizzeria known for puffy-edged pies topped with spicy soppressata and a kiss of honey. It’s the rest of the offerings, though, that stun: dry-aged beef carpaccio, heirloom tomatoes in raw cream, and a killer natural wine list. Platform, 8810 Washington Blvd., Culver City. After 50 years in Westwood, L.A.’s posh wine boutique has expanded to large new digs near the beach. French vet David Féau oversees a menu that spans a truffled grilled cheese sandwich to lobster salad. Pot-au-feu rich with bone marrow and house-made rillettes with baked pear are homey highlights. 214 Wilshire Blvd., Santa Monica. At the casual dumpling shop in downtown Culver City, Top Chef runner-up Shirley Chung has fun with Chinese staples (cheeseburger pot stickers with bacon tomato jam, anyone?) while also putting out a bowl of hand-cut noodles that would make any Chinese grandmother proud. Milk tea with “cheese foam” and chocolate hedgehog-shaped bao provide a cheeky finish. 3829 Main St., Culver City.